Welcome to this issue of the Carnival of the Indies blog carnival. This issue is for November, 2011. We welcome your submissions on topics related to writing, self-publishing, book design or marketing books. Dave Bricker presents Book Design Basics Part 1: Margins and Leading posted at The One-Hour Guide to Self-Publishing. R. H. Sheldon presents In the World of Publishing, You Get What You Don’t Pay For posted at Slipstream. Eldon Sarte presents Steve Jobs Kindle Pricing | Wordpreneur posted at Wordpreneur – Eldon Sarte’s How to Make Money Writing. Michael E. Newton presents Writing a book is a marathon, not a sprint posted at The Path to Tyranny Blog. 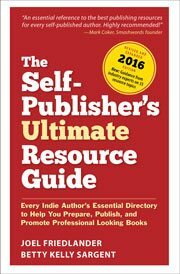 Sue Collier presents Don’t make these 7 self-publishing mistakes posted at Self-Publishing Resources. Doris presents Marketing Tips for your new e-Book; Savvy Writers & e-Books online posted at Savvy Writers & e-Books online. Eldon Sarte presents Writers, Do You Really Need a Website? | Wordpreneur posted at Wordpreneur – Eldon Sarte’s How to Make Money Writing. Dana Lynn Smith presents Do Reviews in Online Bookstores Matter? posted at The Savvy Book Marketer. Sue Collier presents What the heck is SEO and how can it help authors sell more books? Part one posted at Self-Publishing Resources. Wow, lots of good articles to read here! I’d love to participate in the next one – but can you clarify whether we need to submit on BOTH of the pages you mention? Serena, you can use either one. Look forward to your submissions. Thanks for publishing my articles, Joel! Oh, and I’m right up there under Mark Coker. *preen* 😀 I’ll definitely check out these other posts. Looks like a good list of stuff!